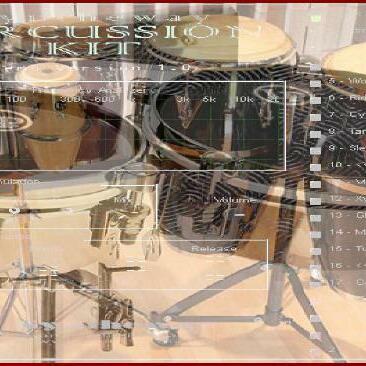 http://syntheway.net - #Jin-Go-Lo-Ba Jin-Go-Lo-Ba ( #Drums #of #Passion), (aka #Jingo)covered from #Carlos #Santana #Jingo version (Original Author: #Babatunde #Olatunji) Demo with Syntheway #Latin Percussion Kit ( #Bongo, #Conga, #Timbales) and #Master #Hammond #B3 #VST #Plugins #Virtual #Instruments. MHB3 is a Virtual Hammond VST #plug-in with a rich and authentic sound based on the legendary B3. The result is a warm and powerful sound over the entire range of the #keyboard. The #MHB3 is capable of all the variations one expects from this type of organ, and is suitable for any flavor of music, be it Rock, #Jazz, #Blues, #Gospel, etc. Authentic sound based on an intelligent VSTi engine and Sample Playback, which provides virtually unlimited dynamic expression for your performances. Modeled on mastered samples (normalized and noise-reduced). Based on PCM recordings of a Hammond B3 organ with full length sustain samples, no loops (natural decay), stored in 16 bits and 44.100 KHz. #Leslie #Rotary #Speaker #Cabinet emulation is included in some presets with embedded effect. B3 Mode Selector includes: B3 Standard, Fast Bright, Slow Bright, Fast Dark, Sow Dark, Full Bright, 4 B3 Blues types, Jazz B3 (Slow), B3 High Slow/Fast, B3, Low Slow, Slow Overdrive (Distortion).